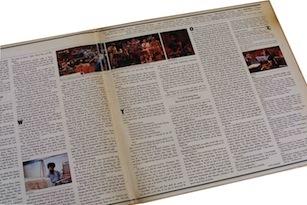 Clive Young recently wrote this great article in the Pro Sound News newsletter about some ideas for the perfect gift for the live sound person in your family. You can sign up for the PSN newsletter here. What do live sound guys want? We ask this question every year and of course, the best answers are intangible: More sleep, a little respect, and a living wage. None of those fit in a stocking, however, so here’s our fourth annual gift guide on what to get your favorite live sound pro for the holidays. To compile this list, we looked for items that would be good for audio pros working local gigs or cranking it out on a 22-bus national tour. Everything had to be small enough to fit in a road case without using a sledge hammer to make it fit, and most importantly, it had to be useful—except for the goofball stuff that was too good to resist. • Leatherman Wave: The top-selling multi-tool of all-time, it features 18 goodies, including wire cutters, pliers and knives that can be set out with one hand. FOH engineer Chris Barclift told us on Facebook, “I can't count the times that having one has saved my [gig].” $62. • Kaltman Cable Coiler: This motorized handheld unit wraps up a cable in about as long as it takes to read this listing, and its sister product, Cable Slap Ties, clips the resulting coil in no time flat. On Twitter, engineer@SlauBeSharp told us it’s a “brilliant device.” $120. • iOS Guitar Effect Simulators: Know a roadie with a travel guitar? Put a Peavey AmpKit Link or IK Multimedia iRig in his stocking; these devices turn an iPhone or iPad into a virtual pedalboard to help get one’s shred on. 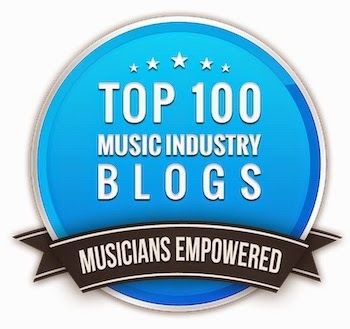 Check out the Pro Sound News blog for in-depth reviews of each. $39. • Mosh Potatoes: Just because they’re called Road Dogs doesn’t mean the crew likes table scraps, so give ‘em this cookbook, featuring fare from famed foodies Megadeth, Type O Negative, Queensrÿche, Dream Theater and more. $10. • Grado Pro Series SR60i Headphones: A favorite of the audiophile crowd, Grado headphones can run anywhere up to $1,700, but these, sporting an upgraded driver design and improved mass distribution in the plastic housing, will set you back less than a C-note. $79. • Etch-A-Sketch iPad Case: Your giftee has been blowing people’s minds by using Yamaha’s new StageMix iPad app to remotely run an M7CL console. Make it even more surreal by giving him a case that makes his Apple toy look like the classic plaything. Added bonus: The crowd won’t ask “Do you really know what all the knobs do?” $39. • Ion Audio Tape Express Plus: Another year has gone by and your pal still hasn’t converted that old box of board tapes because he’s always on the go. Get him this Walkman-style tape player with USB outputs and software for MP3 conversion, and he can copy tapes anywhere he takes his laptop. $49. • Blue Mics Mikey 2G: If that guitar-toting pal is strictly an acoustic player, give him this second-generation mic with two custom-tuned Blue capsules, which plugs into an iPod, iPod Touch or iPhone to work with any recording app. $69. • Laptop Defender SE-0210: Gigs can take audio pros into pretty dodgy areas sometimes—and then they have to pull out expensive, high-tech gear! Help your pal protect his laptop with this credit card-sized gizmo sporting a motion sensor and skull-splitting 100 dB alarm. $29. 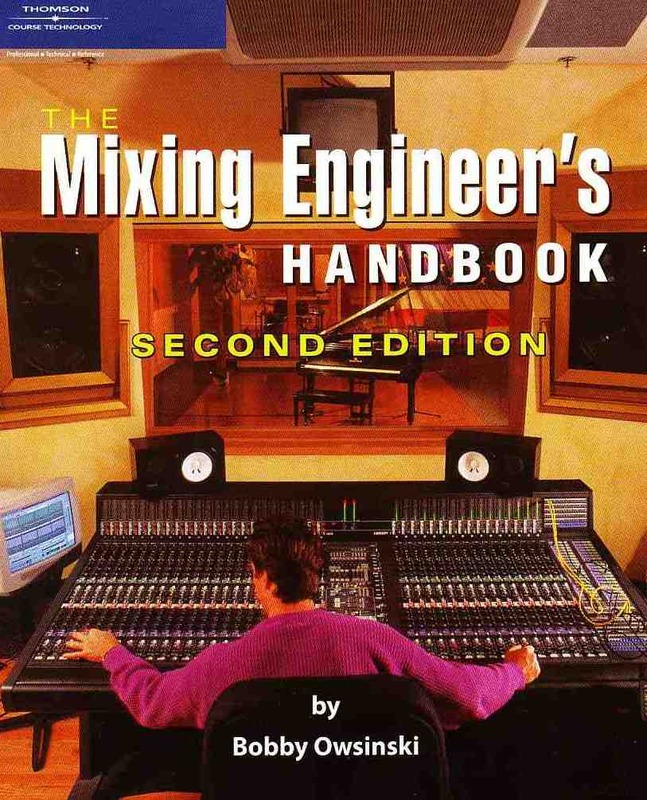 Here's an excerpt of an interview with Elliot Scheiner from The Mixing Engineer's Handbook. Ells has long been recognized as one of the finest engineers working today and has a shelf full of industry awards (5 Grammy’s, 4 Surround Music Awards, Surround Pioneer Award, Tech Awards Hall Of Fame and too many total award nominations to count) from his work with The Eagles, Beck, Steely Dan, Fleetwood Mac, Sting, John Fogerty, Van Morrison, Toto, Queen, Faith Hill, Lenny Kravitz, Natalie Cole, Doobie Brothers, Aerosmith, Phil Collins, Aretha Franklin, Barbra Streisand and many, many others to prove it. He's also one of the nicest guys in the business. In this interview, Elliot talks not only about his approach to mixing but about some of his projects as well. Do you have a philosophy about mixing? Elliot Scheiner: I’ve always believed that if someone has recorded all this information, then they want it to be heard, so my philosophy is to be able to hear everything that was recorded. It's not about burying everything in there and getting a wall of sound. I've never been into that whole concept. It was more about whatever part was played, if it was the subtleties of a drummer playing off beats on the snare drum next to the backbeat, obviously he wants that heard. So I always want to make sure that everything that's in that record gets heard. If you were able to accomplish hearing every single instrument in the mix, that was a huge achievement. Granted, maybe there wasn't as much information when I started as there is now. I myself have come across files that have been a hundred and some odd tracks, so it's not as easy to do that today. I have to admit that the way some people record things today is a bit peculiar. All of a sudden you'll be dealing with 7 or 8 different mics on the same instrument. Like, for example, an acoustic guitar will all of a sudden have 7 different viewpoints of where this guitar's being recorded. It's mind boggling that you have to go and make a determination and listen to every single channel to decide which one you want to use. And if you pick the wrong ones they come back at you and say, "Oh, we had a different combination" or "It doesn't sound quite right to us", but they don't tell you what they did! So granted, it is a little more difficult to deal with those issues today, but I still take the same approach with every mix. If you have a hundred tracks, will you try to have them all heard? Or do you go in and do some subtractive mixing? Elliot Scheiner: Well, it depends if that's necessary. I don't usually get those kind of calls where they say "Here's a hundred tracks. Delete what you want." It's usually not about that. And I have to say that I'll usually get between 24 and 48 tracks in most cases and hardly ever am I given the liberty to take some of them out. I mean if something is glaringly bad I'll do that, but to make a judgment call as to whether background vocals should be in here or there, I generally don't do that. I just assume that whatever an artist and producer sends me is kind of written in stone. They've recorded it, and unless they tell me otherwise, I usually don't do subtractive mixing. How long does it take you to do a mix on average? Elliot Scheiner: Depending on how complicated it is, it usually takes anywhere from 3 hours to a day. 3 hours is really fast! Elliot Scheiner: Yeah, well a lot of time you just get a vibe and a feel for something and it just comes together. Then you look at it and say "How much am I actually going to improve this mix." I mean if it feels great and sounds great I'm a little reluctant to beat it into the ground. For me it's still about a vibe and if I can get things to sound good and have a vibe, that's all I really care about. I still put Al Schmitt on a pedestal. Look at how quickly he gets things done. He can do three songs in a day and they'll be perfect and amazing sounding and have the right vibe. So it's not like it can't be done. Some people say that you can't get a mix in a short time and that's just not true and Al's my proof. Where do you usually start your mix from? Elliot Scheiner: Out of force of habit, if there's a rhythm section I'll usually start with the drums and then move to the bass and just work it up. Once the rhythm section is set I'll move on to everything else and end with vocals. How much EQ do you use? Elliot Scheiner: I can't say that there are any rules for that. I can't say that I've ever mixed anything that Al has recorded, but if I did I probably wouldn't have any on it. With some of the stuff done by some of the younger kids, I get it and go, "What were they listening to when they recorded this." So in some cases I use drastic amounts where I'll be double compressing and double EQing; all kinds of stuff in order to get something to sound good. I never did that until maybe the last 5 years. Obviously those mixes are the ones that take a day or more. When you're setting up a mix, do you always have a certain set of outboard gear, like a couple of reverbs and delays, ready to use or do you patch it as you go? Elliot Scheiner: Usually I don't start out with any reverbs. I'm not one for processing. I'd like to believe that music can survive without reverbs and without delays and without effects. Obviously when it's called for I'll use it, but the stuff I do is pretty dry. The 70's were a pretty dry time and then the 80's effects became overused. There was just tons of reverb on everything. Most of your Steely Dan stuff is pretty dry, isn't it? Elliot Scheiner: It's pretty much dry. What we used were plates usually. Elliot Scheiner: Not necessarily. In the days when I was working at A&R [studios in New York city] we had no remotes on any of our plates there. Phil [Ramone - producer and owner of A&R] wanted to make changing them difficult because he tuned them himself and he really didn't want anybody to screw with them. There would be at least 4 plates in every room. Some of them might be a little shorter than another but generally they were in the 2 to 2 1/2 second area. There was always an analog tape pre-delay, usually at 15 ips, going into the plates. The plates were tuned so brilliantly that it didn't become a noticeable effect. It was just a part of the instrument or part of the music. You could actually have a fair amount on an instrument and you just wouldn't notice it. Is the sound of the A&R plates something that you try to get today? Elliot Scheiner: Oh, I'm always trying to get that reverb sound. If I'm using plates either at Right Track or Capital, I'll still use an analog tape delay going into it. 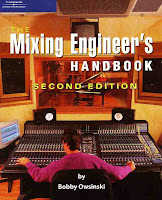 For more of this interview, check out The Mixing Engineer's Handbook. Here's a song that everyone has heard, since it's been a radio and commercial staple for years - Thin Lizzy's "The Boys Are Back In Town, " which was a hit from the Irish band's 1976 breakout album Jailbreak . Today we'll take a listen to Phil Lynott's isolated lead vocals. 1) Considering that this was recorded in 1976, the sound of the vocal is very modern, without a lot of compression nor some of the tuning problems heard frequently from that era. 2) The reverb sounds great. It's both delayed and band limited so it doesn't get in the way. 3) There's an obvious punch at about 2:29 that I never heard until I listened to the isolated vocal. 4) The background vocals are interesting in that they're just a doubled Lynott but drenched in some non-delayed reverb that's a little bright.